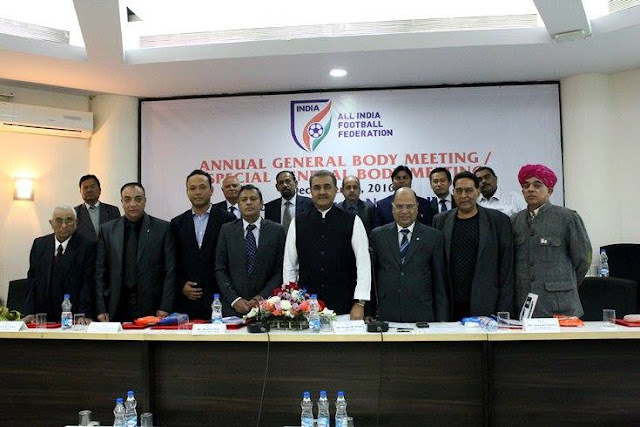 Mr. Praful Patel was unanimously elected as the President of the All India Football Federation at the Annual General Body Meeting held at Football House, the Headquarters of the All India Football Federation on Wednesday (December 21, 2016). The electoral process was completed in the presence of the appointed returning officer Justice Bipin Chandra Kandpal (Retd.) who declared Mr. Patel elected along with the Executive Committee for the term 2017-2020. 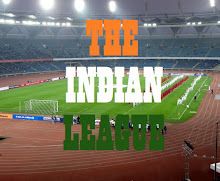 “I declare Mr. Praful Patel unanimously elected as the President of the All India Football Federation. All nominated persons for the posts of Executive Committee members have also been elected unanimously, subject to the final outcome of the pending court proceedings. Congratulations to all of them”, Justice Kandpal declared. Mr. Dilip Kumar Singh also attended the AGM as an observer on behalf of the Government of India, Ministry of Youth Affairs and Sports, while Mr. Kuldeep Vats was the observer on behalf of the Indian Olympic Association. Besides, Mr. Purushottam Kattel, International Relations Officer, Asian Football Confederation and Dr. Shaji Prabhakaran, FIFA Regional Developmental Officer, South and Central Asia were also present on the occasion. Mr. Chirag Tanna and Mr. Rochak Langer represented FSDL in the AGM. “On behalf of the AIFF, I can assure you of the highest standard of ethics and transparency,” Mr. Patel told the house immediately after being re-elected. “I thank all of you for your support and am grateful for your continuous support,” he added. "I take pride in the fact that I have been given the honour of heading one of the most professional sports bodies in the Country.” Meanwhile, the Special General Body Meeting, which was also held unanimously, approved the proposed amendments to the AIFF Constitution. 1. To bring the AIFF constitution in line with the FIFA and the AFC constitution. 2. To clarify and modify certain definitions to avoid anomalies and ambiguities. 3. To bring in more transparency in governance by including independent members in committees like finance and audit, development and judicial committees. 4. The composition of the AIFF Executive Committee will be of 20 members. Two woman members are to be included – one to be elected as the vice president in the next AGM and another to be appointed by the Executive Committee. 5. The Executive Committee would also include a former Indian International player who has represented India in a minimum of 25 Official International matches. 6. Terms of references of the standing and judicial committees have also been amended to bring in better governance and transparency, and remove existing ambiguities. Meanwhile, Mr. Kushal Das, General Secretary of the AIFF also apprised the members of India winning the 2016 AFC Award for the Best Developing Member Association at the AFC Annual Awards in Abu Dhabi. he also highlighted AIFF’s initiatives taken in 2016 for Youth Development Programmes (Academies), Grassroots Programmes and Coach Education Programmes. Mr. Patel also announced the winners of the 2016 AIFF Awards. Mr. Praful Patel (re-elected as President). Mr. Subrata Dutta (re-elected as Vice-President, East). Mr. K. M. I. Mather (re-elected as Vice-President, South). Mr. Subhash Chopra (re-elected as Vice-President, North). Mr. Larsing Sawyan (re-elected as Vice-President, North-East). Mr. Manavendra Singh (elected as Vice-President, West). Mr. ZA Thakur (re-elected as Treasurer). Mr. AR Khaleel (re-elected as Executive Committee member, South). Mr. Jessiah Villavarayar (re-elected as Executive Committee member, South). Mr. Deepak Kumar (elected as Executive Committee member, North). Mr. Deepak Sharma (elected as Executive Committee member, North). Mr. Ghulam Rabbani (re-elected as Executive Committee member, East). Mr. Sanjay Behera (re-elected as Executive Committee member, East). Mr. Amit Ranjan Dev (re-elected as Executive Committee member, West). Mr. Gulab Chauhan (elected as Executive Committee member, West). Mr. MN Brahma (elected as Executive Committee member, North-East). Mr. Lalnighinglova Hmar (elected as Executive Committee member, North-East).